CardMonkey's Paper Jungle: Can you find the error? Here's a sweet notecard that can be used for all purposes. 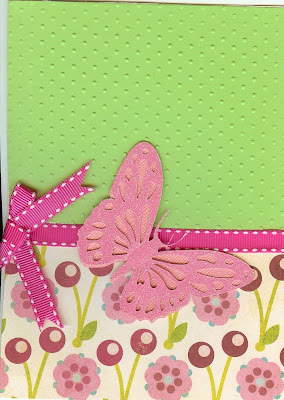 I Cuttlebugged the top half (the lime green part) using the Swiss Dot folder. Then, after covering the bottom half with a complementing flower paper, I trimmed it up with a pretty grosgrain and stitched ribbon and side bow. 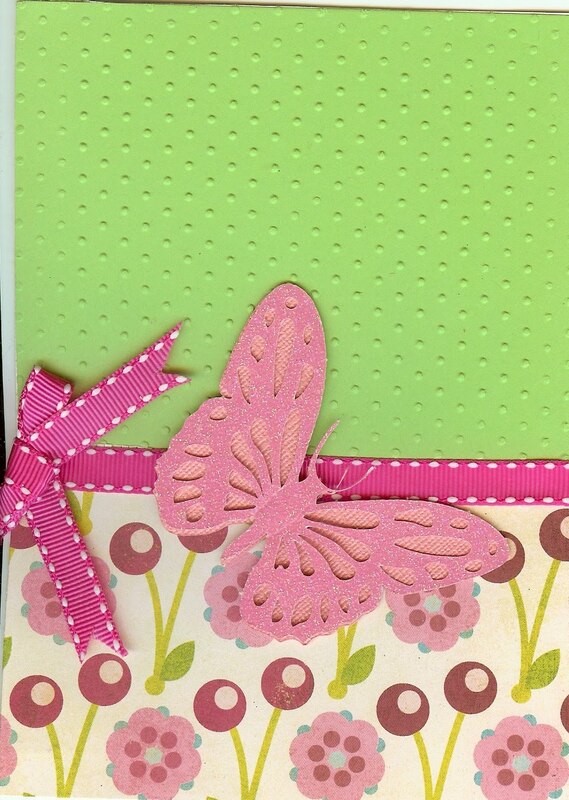 The delicate butterfly serves as the perfect accent. The bottom half of the paper does not feature flowers on their stems with leaves, as I thought. Turn it upside down. They're supposed to be cherries, dangling from their stems. Well, duhhhhh. Tell the truth. Did you notice?